Discover how to Make Money and Create Your Legacy! Hey, what’s up! My name is Cole Hatter, and this is the part where I tell you what makes me…me. Growing up I always knew I wanted to do something important with my life. I did not want to sneak through life unnoticed and arrive at my grave safely; I wanted to shake things up, make a difference, matter, be remembered, and have a blast while doing it. I believe most people would like to live a life that looks something like that. So, I decided to become a firefighter. What better way to give back, make a difference, and live a meaningful life than a career serving others? Unfortunately that dream was cut short by 2 accidents 2 months apart that left me in a wheel chair. Based on my injuries at that time, firefighting was out. My body was physically broken, my heart emotionally broken, and my bank account…it was “broke” too. Out of desperation and an uncertain future, I pursued entrepreneurship. Fast forward a few years, and I’ve started several multimillion dollar businesses, I’m living what others tell me is a dream life, and sure enough, it’s the life I dreamed of having. It’s important to know how to make the kind of money you’ve always dreamed of making, but it’s more important to not sacrifice actually living your life while you do it. Being rich financially is meaningless if you’re bankrupt emotionally, spiritually, in your relationships, and in your purpose. I remember as if it were yesterday, dancing on the streets of Miami for donations. And countless other movies as well as touring with Gwen Stefani, Mariah Carey and every major artist still active, making it into the top 2% of highest paid professional dancers. Thats a dream, more so a dream come true! Here’s how this relates to you, everyone has a dream and there are principles to achieve this dream of YOURS. I believe strongly with every ounce of my being that knowing the right time and getting out of your own way, as well as , giving yourself permission and coupled with a definite purpose (a clearly defined dream) and developing a burning 🔥🔥🔥 DESIRE for its Achievement is the exact thought process you can adopt in order to find yourself as the person you are intended to become. This is what I did, and I have done it with every area of my life, and I believe that Movement is the key, and behind the movement is what’s important, YOUR “Why”. We are all ordinary people doing extraordinary things. [02:30] THRIVE Attendees are survey’d to find out their favorite speakers and event experiences. 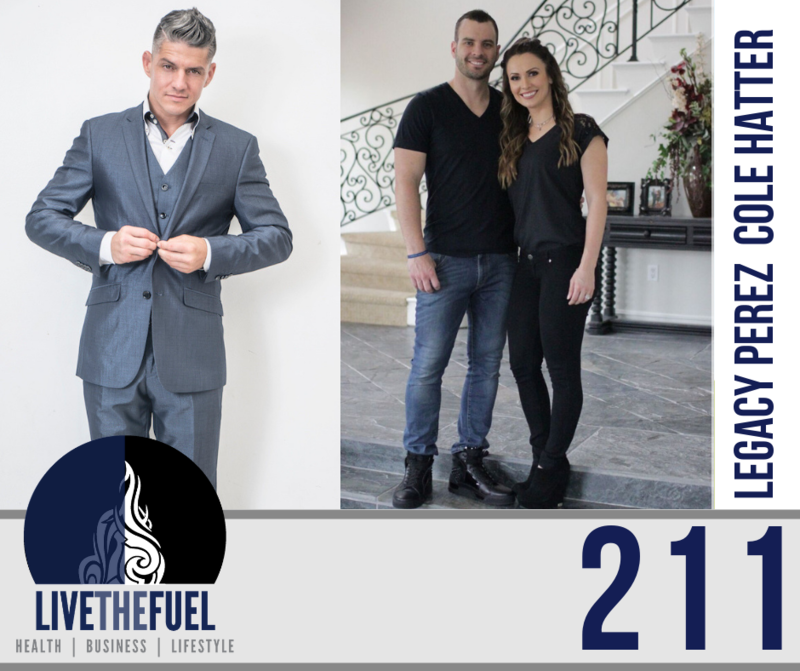 We’ve had incredible speakers from Gary Vaynerchuck, Robert Herjavec, to Jack Canfield, Grant Cardone, to Tai Lopez. So you’re expecting them to pick one of these legendary iconic entrepreneurs. For most, their favorite part was the new connections they made. 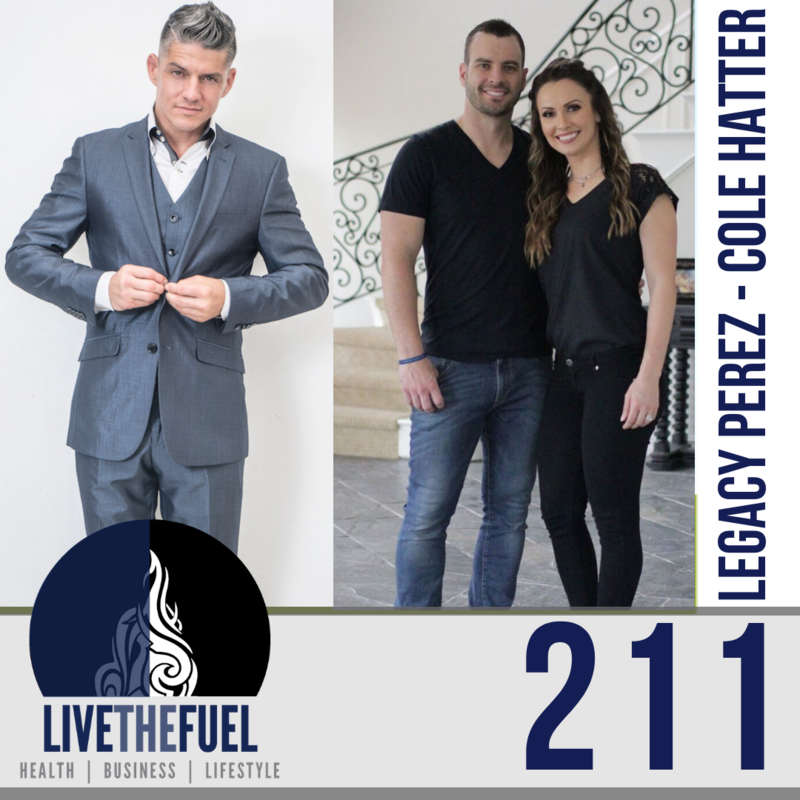 Like this podcast hosting over 30+ guest cohosts through the Thrive Tribe. [05:00] The black Thrive hat and Cole’s face on everyone’s computer. [05:42] Cole discussing the point on Solopreneurs vs building a team. [08:11] Legacy jumps in on the working with a team aspect in relation to Patricia and his own real estate ventures. [12:09] A lot of people talk about self-made, I don’t know anybody that’s quote unquote, self-made. People call me self made. I think it’s because I wasn’t handed anything. I’ve built everything from the ground up. But I built it with a team. There’s no one I’ve ever met in my life that made all their money and all their success, like literally in their basement other house, like stitching things together and selling it on the internet without anybody doing anything for themselves. Choosing the right team is super important. Putting yourself in the right space to meet people who will bring you to the next level is also important. [13:32] It’s not necessarily unplugging from your old habits, it’s just replacing them with the new habits. So when you go to an event, like Thrive, you have the ability to meet people that are like-minded. I think it was in a book, what was it How to Win Friends and Influence People by Dale Carnegie. He says, if he lost all his money and all his wealth, what you would do is just go to an event or somewhere where people congregate that have that had like minds and wanted to achieve high results. As almost as if it were magic, he said, he’d get his wealth back. [14:50] Sonja meets the president of Aston Martin who is one of two women executives in all of the automotive industry. Oh and got to spend over an hour talking and learning from her at a party. [18:47] Scott shares his wedding plans for heli-skiing in Banff, Canada. Talking illegal drones, helicopters and more with Legacy and Cole. [23:00] Diving into the real estate subject with Legacy and Cole. So let me just start with this because for anybody who’s not doing real estate, they might say oh, this is the part of the show I’m going to tune out, because real estate’s not my thing. I think every single human on Earth should buy and hold real estate I do not think every single human on Earth should buy, fix, and flip real estate as an active income source for a career. I think that some people are to risk adverse and just quite frankly don’t have the thickness of skin required for this industry. Instead of putting money in a freakin CD at .25% you should buy and hold real estate. [23:00] Cole agrees on 95 to 97% of real estate strategies with Grand Cardone, that 3-5% is Grant’s commercial focus. I became a millionaire investing in residential real estate. What if people are happy, they like that whole, you know, three to five, three to 10 type unit stuff. [32:40] If you focus on commercial then that just helps free up the rest of the market for investors like Legacy to move in and take that chunk of the residential market that can yield $200k in profits. [34:00] Legacy helps us understand the topic of Making Money With Other People’s Money. Connection to the popular book, Rich Dad, Poor Dad and the topic of OPM, Other People’s Money. [37:40] Money grows if it moves, the Velocity of Money. Major private investors have the liquidity and don’t want to leave those funds sitting in a checking account. [41:00] Lipstick a pig houses vs full rehab. Quoting, Philip McKernan, “Your real legacy is what you give the world as opposed to what you leave the world.” Constantly working hard to achieve whatever goals you wanna do and knowing that it’s possible. There are people left and right that don’t have the things people out there have. For the ability to do what you wanna do and just apply yourself. Find what you’re really good at, what you enjoy, what you’ve been doing for a really long time, find that certainty that you do it with and apply it to whaterver new venture you wanna do. Put your head down and just keep drilling, keep working, and that’s what I’ve done and that I know works. I believe that if anybody does this, I’m not anyone special, constantly go to work and that success will creep in. You’ll start to see that light at the end of the tunnel. All of us out there have it, some just have a bunch of curtains covering the light that we truly have inside. The ability to let go and open up, is up to each and every one of us. Stemming off of Legacy’s strong words. Regardless of your religious beliefs, whether you believe you were reincarnated, or that you have eternal life in heaven, or that you believe that you die and become dead and that’s the end of your story. We can all agree that the life we are living right now does end. So I want to remind people that “this is our one at bat”. The thing I see is that people aren’t afraid of failure, people just never get started. People say, for example, oh we are already in August so I’m going to finish this year and start what I always wanted to do this January. They’ve been saying that since 1998. So I’m just going to encourage people that life is short, life is precious, life is fragile, I’ve almost died a few times, I’ve lost people, and I have a really strong appreciation for how fragile life is. Some people go through life without any of those neardeath experiences or without any real huge loss in their lives, and they assume they have forever and that they’ll get to it someday. So on the back of what Legacy just said, I’ll had one more little thought, don’t hear that and say, he’s right and someday I will. Do It Now! This is your shot, this is your one at bat. To use that baseball analagy or metaphor, some people get to that bat and they are just hoping to get walked. There are literally people that won’t swing at anything and they’re just praying to god, come on four balls and let me get on base through a walk. I’m not going to go down in history as the guy that was praying for a walk, I’m going to swing and I’ll either go down swinging or I’ll walk off with a grand slam. I encourage everyone to “Swing For The Fences”!